The announcement of new MotionPlus-toting minigame collection Wii Play: Motion came out of the blue for many, but it's very real and heading to Europe on 24th June, Nintendo has announced. The game will be packaged with a red Wii Remote Plus across Europe, marking the first opportunity for gamers to get their hands on the crimson controller since the red Nintendo Wii console launched in October. As for the contents of the disc, it features 12 minigames all designed to use the controller in a new way. Wind Runner puts your Mii on rollerskates, hands you an umbrella and challenges you to make it through a windy obstacle course. There's also Treasure Twirl, where you must winch in treasure from the seabed, the ice cream balancing act that is Cone Zone, but the most interesting game revealed so far is Spooky Search, where pointing the controller around your room will reveal hidden spirits you must then drag back to your TV screen. Imagine Ghostbusters with no streams to cross and you're not far off. 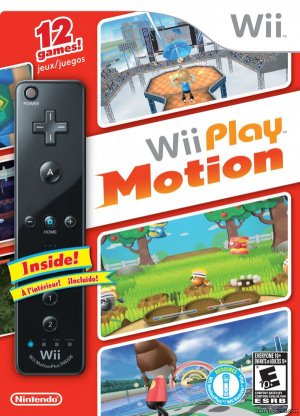 Wii Play: Motion hits North America on 13th June and Europe on 24th June. PUT SOME MOTION INTO YOUR PLAY TIME! 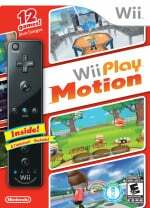 28th April 2011: If you are looking to have some instant fun on Wii which is immediately accessible to all, then look no further as Wii Play: Motion - a collection of 12 innovative, fun mini-games that specifically show off the special capabilities of the Wii Remote Plus* makes its European debut on 24th June 2011 exclusively on Wii. 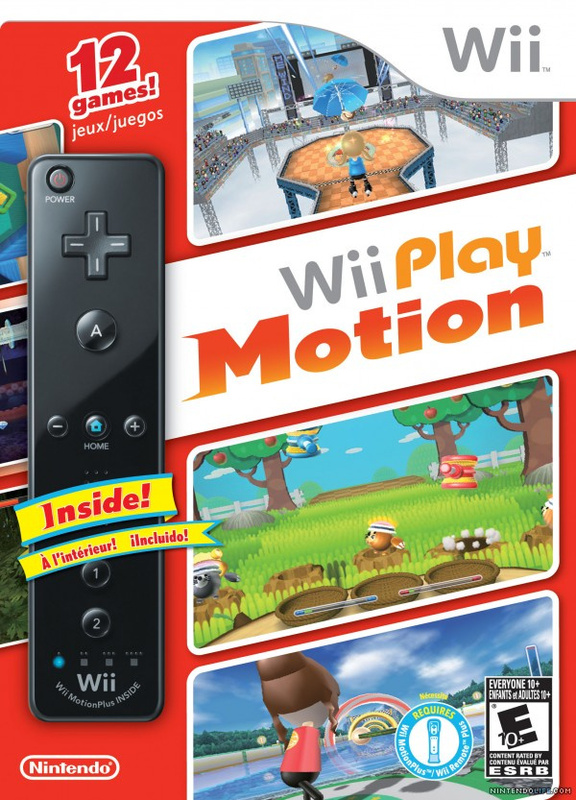 Wii Play: Motion is the successor to the popular Wii Play, which has sold over 9 million copies in Europe. It will have you and your friends twisting and turning as it comes packaged exclusively with a special red Wii Remote Plus controller. Wii Remote Plus combines the original Wii Remote controller with the precision of the Wii MotionPlus accessory – to deliver great value, precise motion control and immersive social fun that anyone in the household can pick up and instantly enjoy. Your personalised Mii character can be used in each of the mini-games and it may find itself in a variety of unexpected yet interesting settings. In the mini-game Wind Runner your Mii character will be sporting a pair of roller skates and carrying an umbrella. Use your Wii Remote Plus to open the umbrella which will in turn carry your Mii character along a race course. By strategically angling your Wii Remote Plus your Mii character can change direction, jump and increase speed as it makes its way to the end of the course whilst dodging obstacles in its path. As you make your way through the 12 mini-games which have multiple game modes for added depth to gameplay, see every swing, tilt, hit and spin of your Wii Remote Plus come to life as it becomes faithfully replicated on your TV screen with exacting precision. From Treasure Twirl - where the Wii Remote Plus acts as a “winch” to collect deep-sea treasure, to Cone Zone – where you tilt the Wii Remote Plus in the correct position to balance ice cream within a giant waffle cone and stop it from falling, whilst extra scoops are being added –- there’s a minigame for everyone to enjoy. Each of the 12 mini-games included can be played in single player mode, yet if you fancy a different experience and want to get your friends and family involved, then the multiple game modes of a selection of Wii Play: Motion mini-games allow for up to 3 other people to join in on the fun, ensuring your game play experience is always a truly unique one. For example in the mini-game Skip Skimmer where you can skip stones along a lake, there is a Score Mode in which up to four players take it in turn to skip stones through a series of rings with the aim of getting to the target at the end. By strategically angling the Wii Remote Plus you can compete against your friends to get the highest score in order to win the game. If you and your friends fancy becoming ghost hunters then Spooky Search will see you working with up to three of your friends to apprehend and collect wayward spirits that have escaped through your TV screen - and into your living room. Using the speaker on the Wii Remote Plus, you are up against the clock to try and locate the ghosts. By pointing your Wii Remote Plus off screen and anywhere around your living room – whether that be above or behind you, your goal is to snare as many ghosts as you can and ‘drag’ them one by one back into your TV screen. See the exacting motion control of the Wii Remote Plus come to life when Wii Play: Motion launches across Europe on 24th June 2011. I want the remote more then the game but two birds one stone. I don't like a red controller. I've also gotten four Wiimotes and Wii Motion Plus peripherals yet. If it was available without the Wiimote+ (maybe even as a WiiWare download) i'd be interested in this and FlingSmash too . I've been wanting to get a Wiiremote plus but I got a bad feeling this is gonna be a waste of $10 like the last one. Hell yes! The Ghostbusters-like Spooky Search sounds interesting indeedy. And it better come packaged with a White Wii Remote Plus! Me no like black. rawr! rawr! I'll be buying this game standalone since I already have 2 MotionPlus accessories. The ghost game sounds pretty fun to me. Hmm, the mini games actually sound pretty original and fun. we would still be playing wii play to this day had it not gone crazy on us, its one of those games the never gets old. I'd rather have the game than the remote. I don't really need another remote. I kind of want the remote, but... I have so many other games that I want more than this. Perhaps if I find it cheap. I have a black remote plus that came with Flingsmash and then I did some trades to get a blue one, so if the game line-up is good I'll be all over this. I've got some trade-in credit that should take the edge off a bit. Hopefully they'll have a cheap standalone version without the Wiimote. I would have preferred a white WM+ to match my other Wiimotes. If the new console is going with a screen-bearing controller, there's a good chance these current controllers will be the motion controllers for the new console. Just sync them up, everyone already has a couple. I hope Nintendo Australia gives us the red remote too! I've been dying for them to release it separately since it became real. The game is just an added bonus I've also already bought a red nunchuk and it needs a red remote to go with it. These minigames sound pretty lame so far. I literally just got a Blue remote plus yesterday because the red ones are impossible to get without a new console. Well luckily I have three now so this will be a perfect fourth controller.